It was not only a back-to-back. Rather, it was a back-to-back-to-back-to-back! 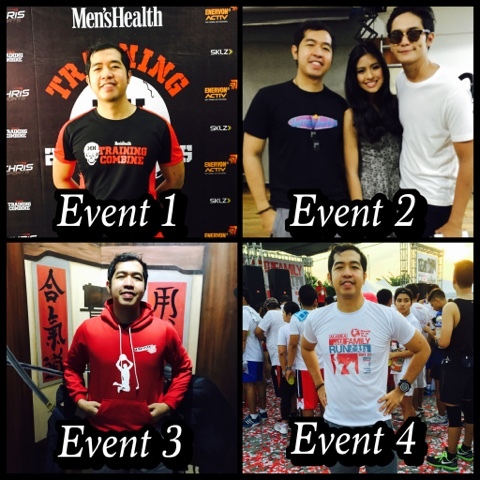 Four consecutive events ended my month of May 2015 which covered my four blogs of four different genres. As they say, yes "lagare kung lagare!" "Mahirap pero masarap!" Now what can you say about my timeline?! The good thing was that, I shifted from IT to sports to showbiz to lifestyle to running! Yes, fresh from work when I started my first physical fitness event on a Saturday morning. Rocky and Enrique Gil: "On the Gil of Rocks"
"I Reserved an Acceptable Minion!" June 2015: "Selfie Selfie on the Wall"